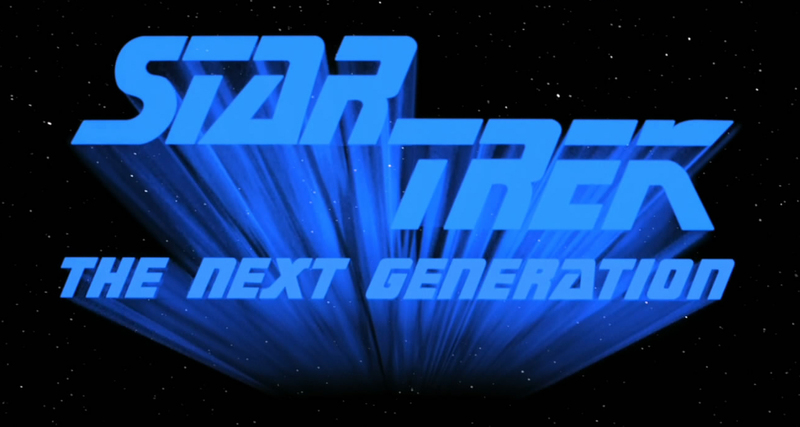 This page will review the episodes of my favorite television show of all time, Star Trek: The Next Generation. As the show has been remastered in HD and released on Blu Ray I thought this was the perfect time to give my take on each one of the episodes. Seasons one through five are available right now, with six coming out shortly, but by the end there will be all 176 episodes over the course of seven seasons of Star Trek greatness on this blog. Please feel free to read and comment on the episodes in whatever way you prefer. Star Trek: TNG is the most successful of the Star Trek series, both critically and by ratings. It’s also the longest running Star Trek series by number of episodes. 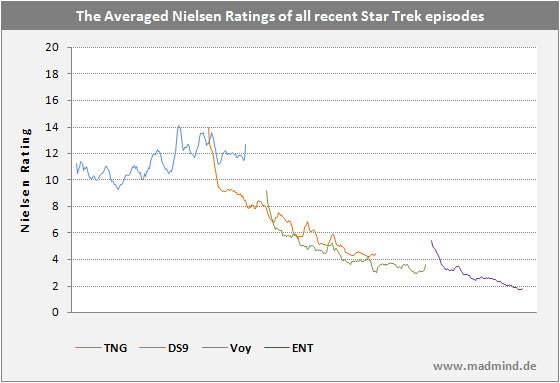 I’m including a link here that tracks the Nielsen ratings for all of the Star Trek series except TOS, and as you can see TNG is the only one that didn’t have a general ratings decline over the course of the show. We also know that the original series had a ratings decline too, as it was cancelled in its third season. It is primarily because of TNG that Star Trek and science fiction in general returned to television, that’s no exaggeration. The characters changed a heckuva lot over the series, and for the better. Here’s a cool meme I found that shows in a funny way how they changed from season one to season seven. Okay that one guy isn’t LeVar Burton, but otherwise it totally works! Just briefly I’ll mention how I will do these reviews. The plot synopsis will be taken mostly intact from Memory Alpha, one of the best Star Trek sites on the web. I include photos in my reviews, and most of them will be from TrekCore, another great site. I will also include some technical observations from the Ex Astris Scientia web site for details regarding changes in the HD remaster versions, as well as information from Larry Nemecek’s Star Trek: The Next Generation Companion. In some episodes of TNG the writers had an A plot and a B plot going; this allowed them to have a story-centered episode but also allow for character development as well. Typically plot A is the story and plot B is the character development, but in some episodes this is reversed as we’ll see. I discuss these in the plot analysis section. Favorite scenes is self explanatory. Use of cast discusses how the cast and characters are used in the episode. The Blu Ray version section will cover any enhancements or corrections that were made in the episode as well as any deleted scenes included on the discs. Paramount and CBS went to an enormous amount of effort to remaster every episode, looking at the original film reels, remastering the video into HD and the sound into 7.1. Here’s a link to a nice little demonstration of the difference. Nitpicks are just that: little things that either seem strange, make no sense or are flaws in the episode but that perhaps most folks don’t notice. Overall impression is where I discuss what I thought of the episode in general and what works and doesn’t work in it. Interesting things to note about the episode will appear in the behind the scenes/trivia section, many of which in the first season will be supplemented by a series of reviews that Wil Wheaton did. Finally I’ll assign each episode a one-to-five star rating and say whether the casual TNG watcher can afford to miss this episode or not.